Avicii in one word was " undescribable " for me. His music means the world to me. It was Avicii that got me into music production. I remember listening to Levels and welcoming myself to electronic music. Let it be Blessed or Hope There's someone,all of his songs and remixes meant a lot and still do. I've been given a good five hundred words to tell my story and I can only say my life has been so much better with Tim's music. There were times when I was sad and Tim's music was there. Tack, för all din fantastiska musik, dina låtar som har funnits där i lycka och sorg och som givit mig extra energi i vardagslivet. Vila i frid. You have changed the world of music. You wrote history. And you will always be in our hearts. You are simply the best. Take care of the simillar icons in heaven. Avicii's music quickly joined the playlist of my life, and will never ever leave. Tim touched so many hearts with his tracks, and he will never be forgotten. Thank you. La tua musica rimarrà per sempre la colonna sonora delle mie estati. Mi mancherai! The first time I heard one of avicii song's I was at 12 years old and i loved the song more i couldn't stop listening to it. If i could i would play it over and over again the whole day. 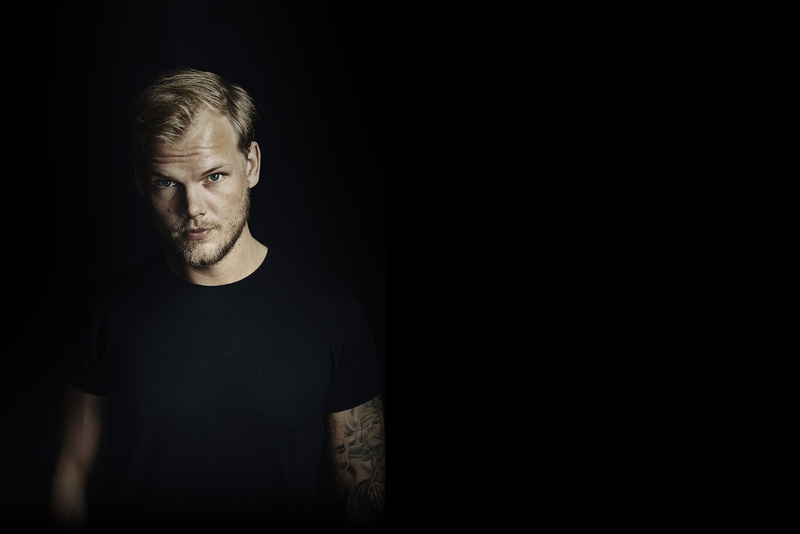 Avicii legends will forever rememberd so you will rememberd too. Life you're life in heaven you deserved it. "Mozart and Chopin never died, they simply became music." Rest in peace you legend you will not be forgotten. Hela mitt tonårsliv har du varit med o skapat ny musik efter ny musik. I varje låt finns det ett minne av något bra eller något jobbigt, men det var som att du gjorde det till bra minnen iallafall. Så dina låtar jag jag skrattat till, gråtit till och varit glad till. Efter allt som hänt Tim, så finns du med på min arm, valde att tatuera in dina Avicii symboler för att hedra dig och att du ska finnas med som minne! Du var stark Tim! Soundtrack of unforgettable moments. Thank you. Since Tim started producing music always I've been listening to him. When he created Wake me up i fell in love with him. He will be always my hero, my idol. THANK YOU TIM!. Always a legend. Avicii’s music changed my life, brought me closer to EDM and helped me in the saddest moments. Thank you my friend. When I was 10 I started being his fan, I'll be 14 soon, at the day he would be 29. It breaks my heart everytime. He was my everything. More than just an idol or the first idol. I will never forget him. When I was 11 , he came to.my country and I couldn't go cause it was only for 18+. I wanted to see him at 18. It will never come true. I'll keep growing up, but the most important person to me will stay 28 forever. Why just why all good and innocent people have to leave this world :( Thank you for your music Avicii! We will all miss you. You brought so much joy in our lives. Hopefully we get to hear some new music soon. Tim's music always inspired us.. I had a wish to meet him once which remains as a dream for me until I'm dead.. Ican't describe how much I'm missing his gigs and music.. Totally Broken💔Tears from India..
Cuándo tenía 12 años, casi 13, conocí a Tim. La canción fué Wake Me Up. Su música me ayudaba demasiado, el tiempo pasó, y el estrenó "The Nights" En esos momentos yo quería y pensaba en suicidarme, y me sentía muy sola y deprimida. Quizá joven, sin embargo, yo sentía tristeza. La música de Tim me ayudó mucho y me distraía demasiado de esos pensamientos, en parte gracias a Tim sigo aquí, me motivaba con su música a vivir. Gracias Tim, mi sueño siempre va a ser haberte conocido. Monterrey, México. Zahvaljujući tvojoj muzici svijet je postao ljepše mjesto za život. I dalje mi jutra počinju sa taktovima tvojih pjesama, uz mnogo pozitivne energije i ludih plesnih pokreta. It's rad that your family did this dude. This is cool. I still listen to your music. A lot lately. Shits been kinda crazy in my life the last couple years. Your beats keep me going dude. Rest well man. Rest well. Keep one cold for me up there k? We can chat about our favorite dance music. It'll be fun. See you in about 40 years I hope. Tim's music helped me in my battle agians depression and anxiety. His songs made me strong when I fell small and weak and they made me see the good things in life when it was filled with darkness. Thank you Tim! I owe you everything! I could’ve seen Avicii play a gig in my hometown of Manchester but decided it would be much more memorable to see him in Stockholm at the Globe Arena instead. And I was glad I did. By chance I was stood near to the VIP area that night so witnessed first hand the look of pride on his family’s faces as he played a fantastic that night! Avicii’s music always put a bounce in my step, even first thing in the morning. And I’m gutted he’s no longer around but hope he’s found his peace at last. RIP. So wake me up when it's all over When I'm wiser and I'm older All this time I was finding myself And I didn't know I was lost. Vivirás siempre Tim . Your spirit is alive and well. Your music will keep you close to us forever. I don't even know where to start when it comes to describing how much Avicii's music meant to me. 500 characters is nowhere near enough. He was a pure genius and I will always remember him. I was lucky enough to see him live once and it was a magical experience. It was very painful to see how much he was suffering mentally (something I recognise myself in a lot), and how much he was pushed to do things he felt he couldn't do. Rest in peace, Tim. I hope I get to meet you in the next life. Why? Avicii why? Your music was great! And on such a young age... We will all miss you. Thank you for all the memorys we were able to gain, because of your music. We will never forget you….never. I think that Avicii was and is the founder of todays EDM. The style he brought was original yet catchy. I enjoyed every bit of his concert in Baltic Weekend Festival 2016 - one of his last public concerts before he quitted. Thanks for those memories - you will be always in mine. Thank you Avicii, unfortunately for us it hurts that you are not of this world because you were, you are and will remain an angel that everyone loves with your simplicity, your personality, your talent, your kindness, your sympathy towards people . Everyone is too sad because we miss you too much, we love you Avicii forever, you are engraved in our hearts. You are the best . Thank you for everything and I promise I will listen to your music forever. Thank you Avicii , Thank you Tim Bergling . Can't describe how I felt and how I actually feel... Miss you so much king. Goodby from Hungary by Matthew. You are Legend forever! Tim you were special. You were a gift for us all... Rest in peace! from Rose Maia K. A. You were the best componist, dj and most of all a wonderful human being, I admired you so much. Always polite and OK a little shy, but you were you an hones person. Saw you once in Holland and was soo amazed. Still can't believe you're gone. You will be missed but you will live on through your music. My heart cries for what you felt you had to do. And my heart goes out to your family and friends. RIP beautiful person ! Thank you for your music - I love it so much!! I don't know why your death affected me like this but it may have to do with how your music helped make my day better when I needed it. I got my headphones on and played your songs and I was finally ok. I am so sorry that you did not have anything to help you like you helped me and as I think many more of us here. I hope you will live a life you so deserve.